MP3 - PONCIELLI, La Gioconda, Suicidio! Svetlana Vassileva Ivanova was born in Sofia, Bulgaria in a family of musicians. She developed a passion for music and started taking piano classes at early age. 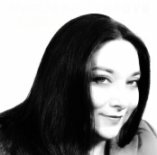 Svetlana graduated from a music high-school specializing in classic piano and than studied at the Music Academy “P.Vladigerov” in Sofia, where she received a diploma in jazz-piano and classic-singing. She continued with her professional studies in Vienna, Austria at the Conservatory for Music & Drama – Solo Signing. She graduates with excellence in Opera Repertoire. During her specialization at the Opera Master Classes she worked with the great sopranos: Raina Michailova, Iliana Cotrubas, Mimi Courtce, Raina Kabaivanska, Maia Sunara-Biankini and Mirella Freni, and was graduated with Diploma at the concerts. Svetlana participated in a series of International Vocal and Opera Competitions in Johannesburg, Vienna, Dresden, Rieti, etc. Svetlana’s notable artistic talent and magic voice performing classical music and opera repertoire was also praised by the Austrian Ministry of Art and Culture, where she performed music workshops. 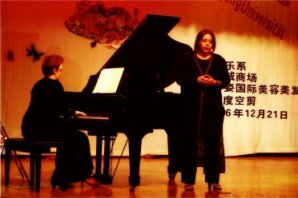 She was accredited as a Professor of opera singing to the filial of Vienna-conservatory at the Faculty of Weifang, Shandong University in China. Svetlana participated at music festivals in Switzerland, France, Italy, Greece and Japan, conducted by greatest Lord Jehudi Menuhin, Claudio Abbado and Mariss Jansons. In the last years she gave many solo concerts in Sofia: Music-center “Boris Christoff”, House-Museum “P.Vladigerov”, Sofia-city Gallery, Union of Bulgarian compositors and Chamber-hall “Bulgaria”-as a participant of the 9-th European Music festival. Her opera-aria performance was presented in the emission “Voices of the Future” of FM Classic-radio. In 2010 she took part as a piano-player and solo-signer in chamber–concerts in Canada-Ottawa and Toronto.